Vienna here i come!!!! I love this place.i has beautiful scenery.i been there once it was so best experience. 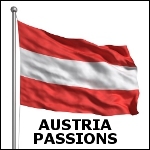 I would love to have Austrian woman as a potential wife.